Dr Eric Topol is a practicing cardiologist at Scripps in La Jolla, California. He is also Professor of Genomics at the Scripps Research Institute, and Director of the Scripps Translational Science Institute. His research focuses on the individualisation of medicine, using genomic and digital technologies to understand each person to better determine appropriate therapies and prevention. 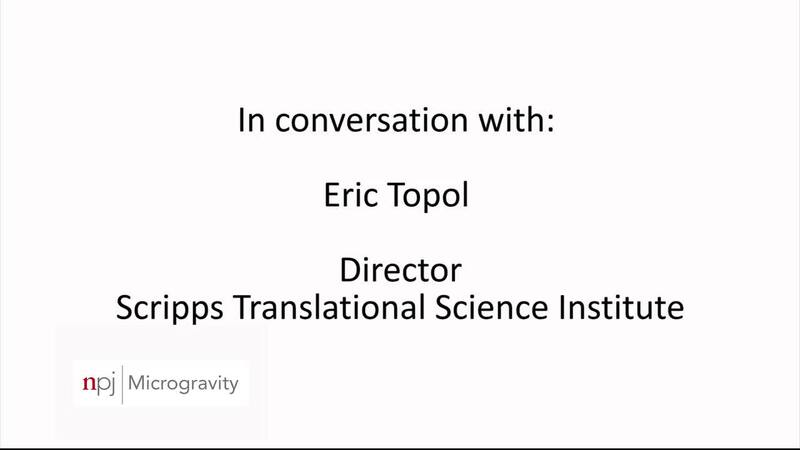 In this video, Dr Topol tells us why he is interested in microgravity research and how it can improve our medical knowledge and innovation here on Earth.